We, the residents of Garfield Ridge (Chicago, IL), are in our 11th year of coordinating a neighborhood watch program referred to as GRNW (Garfield Ridge Neighborhood Watch). We welcome area residents to join our membership in patrolling the alleys, streets and parks of Beat 811 and would like to encourage the entire community to be aware of their surroundings and report as necessary. Our intent is to identify issues, curb graffiti and be the extra eyes and ears to aid the Chicago Police Dept. in our community. For more information, please contact us. 2019 Focus: Bridging the Gap! Our members do more than just come to meetings. We patrol the neighborhood on foot, in our cars or on bike looking for graffiti, potholes, street lights that are out or overgrown brush. These things get turned in to the GRNW and then get delegated to the appropriate city department. We also keep an eye out for troubled buildings and suspicious activity. These concerns are reported directly to the CPD. Help keep our neighborhood safe and clean by becoming a member. The next GRNW meeting (marking the 11th year of the GRNW) will be held on Mon, Mar 18th, 2019 at 7pm. Location will be at the Croatian Radio Club located at 7036 W. Archer. Guest speakers TBD. All residents and business owners are welcome to attend. The next Beat 811 CAPS meeting will be held on Tuesday Mar 19th at 7pm at Good Shepherd (located at 5550 S. Merrimac). Once again a car show will be held on Archer Avenue on Fri, Jun 14th (Flag day)… mark your calendars. The National Night Out against Violence motorcade and vigil will take place on Tue, August 6th. More details to follow. > Select "Send or Request Money"
> Click "Send Payments Now"
Meetings are open to all. If unable to attend, you can watch live via Facebook. The GRNW Tip Line is another way for residents to report incidents, information, tips, etc. that they may be aware of but hesitant to report directly to authorities. Please use this hotline and if you wish to maintain anonymity, this is an easy way to still pass on useful information. The GRNW is up and active on Facebook with over 8,700 "Likes". 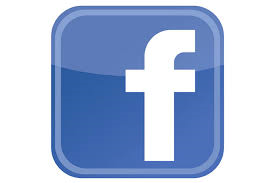 Our Facebook page provides quick + factual updates on events, general info and neighborhood news. If you haven't already, "Like" us on Facebook today by clicking on the link below. The GRNW has a YouTube page. Click here to access our page that contains various videos including community events, etc. The GRNW has an Instagram page. Click here to access. While we previously posted neighborhood incidents on this page, our friends at the Southwest Chicago Post have proven to be a valuable asset in keeping neighborhood news up-to-date and factual. Your support has seen their page grow to over 1,250,000 views. As such, we're happy to offer a direct link to their web-site page where you can receive up to the minute updates on incidents in both our neighborhood and surrounding communities. Click on the button below to directly access their page. Be sure to "Like" them on Facebook. Congrats as they have surpassed 17,500 "likes"! (click here to do so --> Facebook.com/swchicagopost ) if you haven't already. Thanks and keep up the great work! What do Adopt a Block members do? One of the programs promoted by (meaning you don’t have to be a GRNW of) the Garfield Ridge Neighborhood Watch is Adopt A Block. You wouldn't be keeping an eye on just any block - you are adopting your own block! The concept is simple. One person volunteers to keep her/his neighbors on both sides of the street informed about significant events and incidents in Garfield Ridge. Your time commitment is minimal after your initial contact with your neighbors to explain the program, offer placards, and obtain phone numbers, e-mail addresses and emergency contact information. Keeping communication flowing as a block leader helps keep our neighborhood aware, motivated and safe. This person also keeps a watchful eye out for neighbors who are elderly or have special needs. You can do weekly checks on street and alley lights, potholes, graffiti, and report to GRNW any issues your block may have. Even lost dogs and suspicious activity may be a confusing subject for neighbors to breech, and that’s where you come in to point them in the right direction. It’s as simple as walking your dog in the alley instead of the street or turning left instead of right leaving your garage on your way to work. Seeing your block from a different point of view may help you catch something that is amiss. We have over 250 blocks in our great neighborhood and the Garfield Ridge community could use your help. Please consider volunteering. Remember, good communities are made, not born. Changes to this program will be rolled out shortly. Various helpful tips and info has been added under the Adopt-A-Block page in a new section entitled "Misc Info". Click here to go right to it. Paypal option for use in Sell-A-Bration reserving, donations, fundraising, etc. Click on button below to continue.